Home decor superstore At Home has announced it will occupy the property that was formerly Gander Mountain on Earl Rudder Freeway in College Station. That’s great news for consumers, but also for those in the economic development business since empty box stores along a major highway is not the image you prefer. 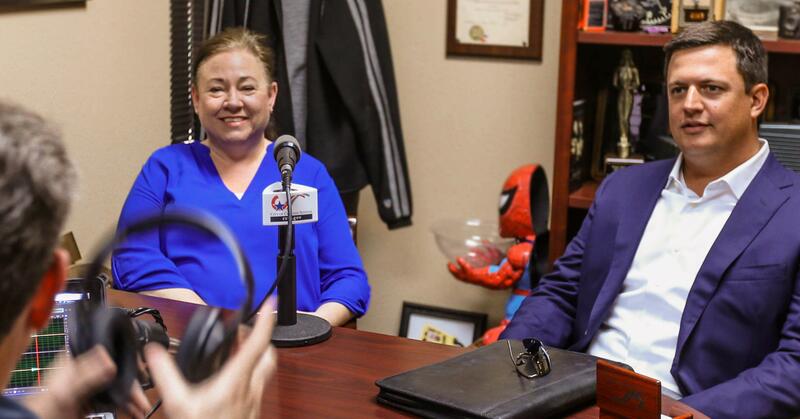 On this edition of Is This A Thing?, College Station’s Economic Development Director Natalie Ruiz and Oldham Goodwin Group EVP Clint Oldham talk about how the At Home deal came about, how fragile this deal – and all eco-devo deals, to be honest – really was, and how retail attitudes are no longer cowering from The Amazon Effect. 01:20 — Conversation started last summer when Gander Mountain was rumored to close. 02:28 — What happened when CS initially reached out to At Home. 03:40 — Some expansion of this facility will need to happen. 04:30 — When Oldham Goodwin engaged Gander Mountain ownership. 05:25 — Among the challenges of that property. 07:07 — Among the positives of this location. 08:33 — The effectiveness of a CS-OGG partnership to make the deal happen. 09:35 — What people don’t see: How close deals are to NOT happening. 10:50 — Other areas in College Station where OGG is working. 11:30 — Could’ve announced this sooner, but didn’t want to jinx the deal! 12:38 — Conditions this year feel different regarding which retailers are ready to expand. 13:33 — Amazon Effect not as smothering; brick and mortar still matter. Jay Socol (@jaysocol) is in his ninth year as College Station’s public communications director. A 1991 graduate of Texas A&M. Jay has also been communications director for the Texas A&M Engineering Extension Service, public information officer for the City of Bryan, and news director at several Bryan-College Station area radio stations. A native of Breckenridge, he also serves as president of the Texas Association of Municipal Information Officers. This entry was posted on June 1, 2018 by City of College Station. It was filed under Economic Development, Public Communications and was tagged with At Home, Clint Oldham, economic development, Gander Mountain, Is this a thing?, Natalie Ruiz, Podcast, podcasts.